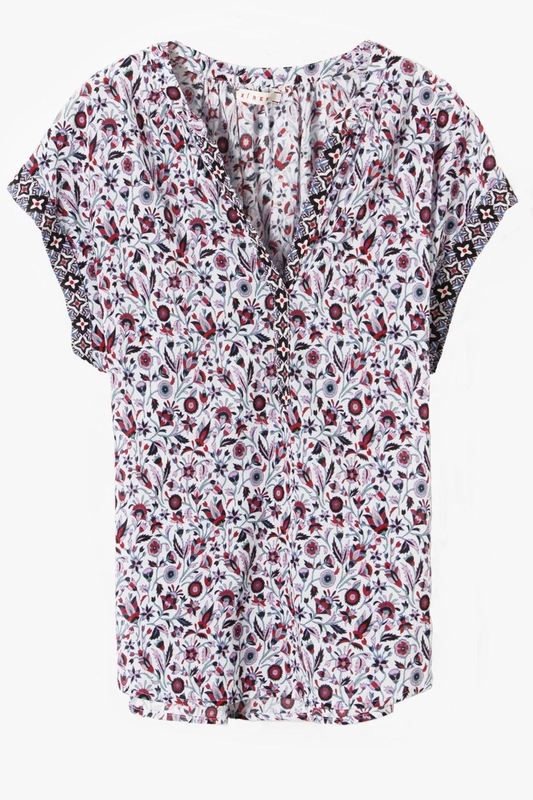 The Trista blouse (approximately 26" from center back neck to center back hem on size S - fit is very loose, so size down if you want a less loose fit). 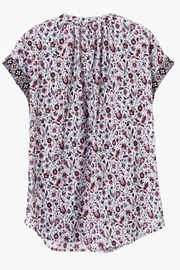 Is made from a lightweight gauze and features short cap sleeves, gathers at the back neck and sides, a rounded hem to tuck. 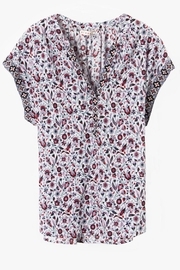 The front placket and edges of sleeves are banded in a different print in the same colors. 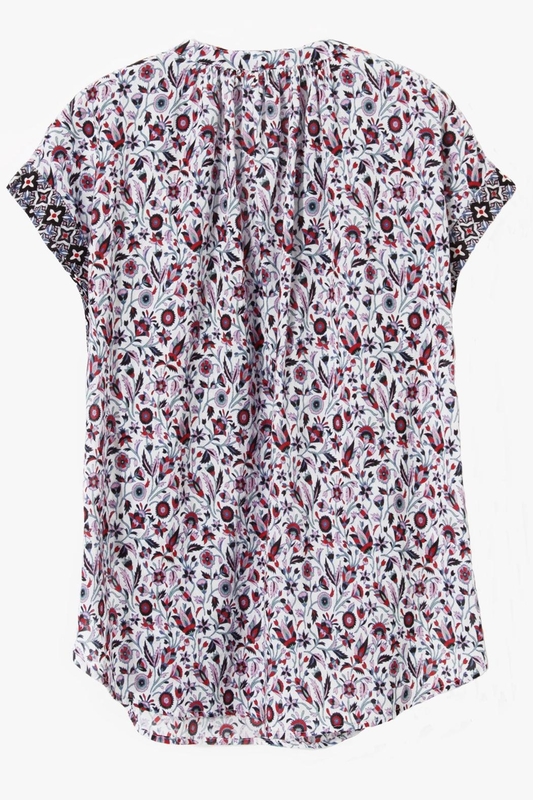 Stay cool and pretty on a hot day - this is the perfect top in a multi-color print (in tones of pink, red, black, blue and grey) to pair with jeans or shorts!